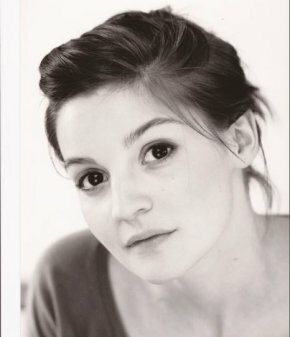 At the time of the interview, Flora Spencer-Longhurst was performing as Reza in the new musical Once at the Phoenix Theatre. On television you have performed in several detective series including Dalziel and Pascoe, Lewis, Wallander and Father Brown. How would you compare your experiences? Do you have a favourite? Well I’ve always wanted to do a period drama. Also having done a comedy pilot last year, I’d like to have a crack at some comedy as I think it’d be good fun and a big old challenge. Reza is one of Girl’s Czech housemates and good friend. She is pretty feisty and along with the other Czech characters provides some of the light relief. She’s outwardly very confident and secure in herself and doesn’t care what people think about her, but under her brash exterior her heart is in the right place.